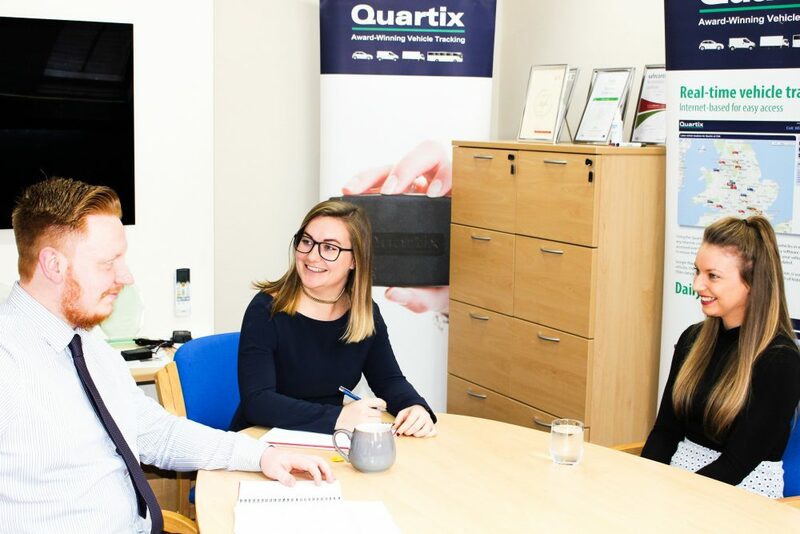 Quartix was founded in 2001 by our Managing Director, Andy Walters, and three expert industry colleagues. Since then, Quartix has experienced exceptional growth and now employs over 140 people across 3 countries. Our rapid growth is due to the fact that our employees are committed to providing an excellent customer experience and this results in exceptional customer loyalty. Our very first customer from 17 years ago is still with us today. Quartix now has more than 12,000 customers in France, the United Kingdom and the United States. We recognize and reward the efforts of our employees with bonuses, internal events and rewards. Many of our original Quartix employees are still with us today; they have grown and developed with the company. We have developed a culture that recognizes talent, not gender, age, or ability. We are also proud to have an open mind, to be honest and fair, while having the chance to have fun at work. At Quartix, we value passion, respect and recognition for a job well done, as part of a typical day on our team. We do not currently have any new job opportunities at our Chicago-based US office. However, we are happy to receive speculative job applications, particularly in the area of support and sales, so please email your CV to hr@quartix.net.